You may want to pick up one of those handheld battery chargers before you start playing Pokemon Go. It's no big surprise that the game's 3D graphics and heavy GPS and camera usage add up to a pretty big battery drain, but many users across Reddit and Twitter have still been taken aback by just how fast their devices drop to 0 HP and faint while playing. 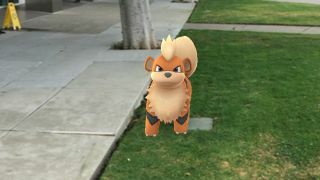 Developer Niantic is calling this unusually fast battery drain a "known issue" and says it's "working on a solution". For now you can head into the app's settings (in map view, tap the "Main Menu" Pokeball button then the "Settings" gear) to enable battery saving mode, which will turn off the display but keep the app running when it detects the device is pointed downward. You can try the other standard measures - reduce your screen brightness, turn off sound, make sure you're not running any other power-hungry apps, etc. - but for now it seems the only winning move is not to play. And since this is Pokemon in real life we're talking about here and that is clearly not an option, you'll just have to keep a charger on hand for extended play sessions for the time being. Even if Pokemon Go isn't live in your part of the world yet (here are its iOS and Android download pages), you can still check out what manner of microtransactions it will tempt trainers with.